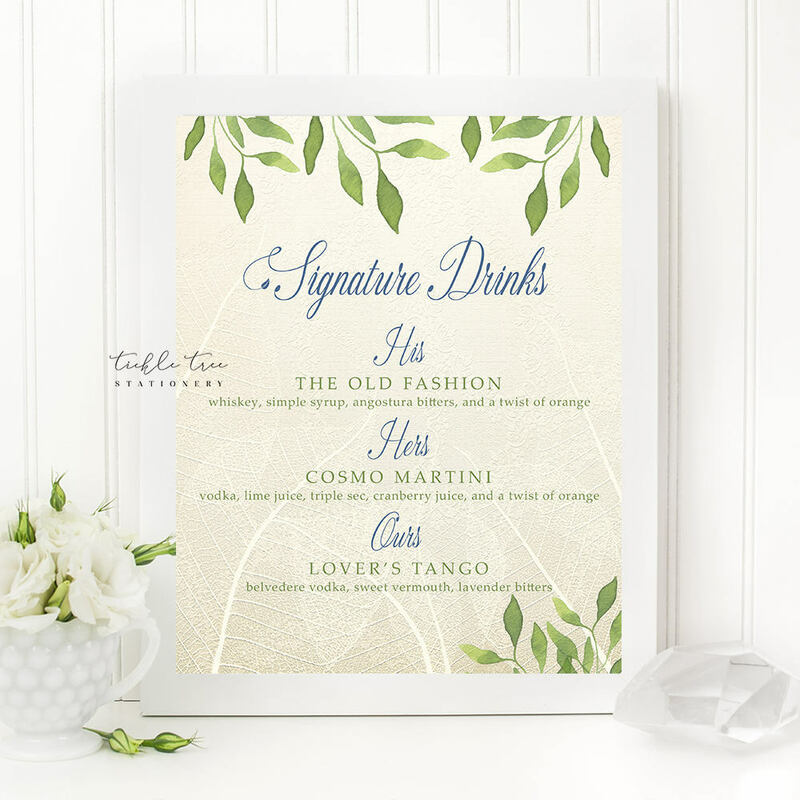 This "Signatures Drink Menu" sign is available for purchase as printable file. ~ PDF print size - 8.5" x 11"/trim size 8" x 10"
~ JPEG print size - 8" x 10"
Or print at a local print or copy shop. Refunds ~ There are no refunds available on digital items.